It was a wild weekend in the Olympics, a weekend that included the closing, much anticipated track and field event: the men’s 4 x 100m relay. Essentially, this race measures the fastest overall country. It’s a team game that involves four people sprinting with every single wind that they’ve got. Plus, it’s got that needling little issue of passing the baton, something that’s been difficult for the US Men’s team the past few years. They’ve had drops before, and if you drop it, consider your race over. The women absolutely dominated their 4 x 400m relay, but the men were just hoping to get on the medal stand. And of course, they would have to get through Usain Bolt and Jamaica if they wanted to hoist gold. The men got off to a fantastic start, staying neck and neck with Jamaica, but in the final stretch it was Usain Bolt vs. USA’s Ryan Bailey, and there is just no catching Bolt. Not only did Jamaica win, they set the world record. Congratulations to Usain Bolt for being the fastest sprinter ever! 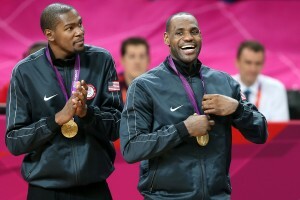 Elsewhere in the Olympics, it was the gold medal basketball game between the United States and Spain. This was a rematch of the 2008 gold medal match in Beijing where we met a very young Ricky Rubio. That game came down to the wire, and Spain would certainly be looking for revenge. And they have an advantage over the US — a big front court that included the Gasol brothers (Pau and Marc). Then again, the US has… LeBron. And LeBron would make his presence felt in this game. The match was pretty much neck and neck all the way until the end of the 3rd quarter. There were even parts where Spain was in front. But in the 4th, LeBron took over, slamming down some monster knocks, and a dagger 3-pointer towards the end of the game that sealed the deal. Behind Kevin Durant’s 30 points, and LeBron’s 4th quarter surge, the US defended their gold medal and kept the US as the king of the basketball world. Now they’ll head back to the States to get ready to beat each other in the upcoming NBA season. 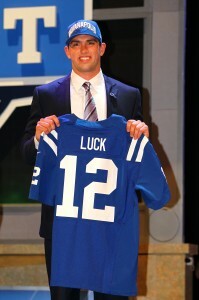 And in the NFL, we got our first glimpse of the Peyton Manning’s heir apparent in Indianapolis: Andrew Luck. Remember, the Colts cut Manning to turn the kingdom over to Luck. Would he let them down? In his very first pass as a Colt, Andrew Luck dumped it off to Donald Brown who ran it all the way to the end zone for a 63 yard touchdown. By the way, Manning also threw for a touchdown in his preseason debut way back in 1998. Luck finished the game with 188 yards and 2 touchdowns. 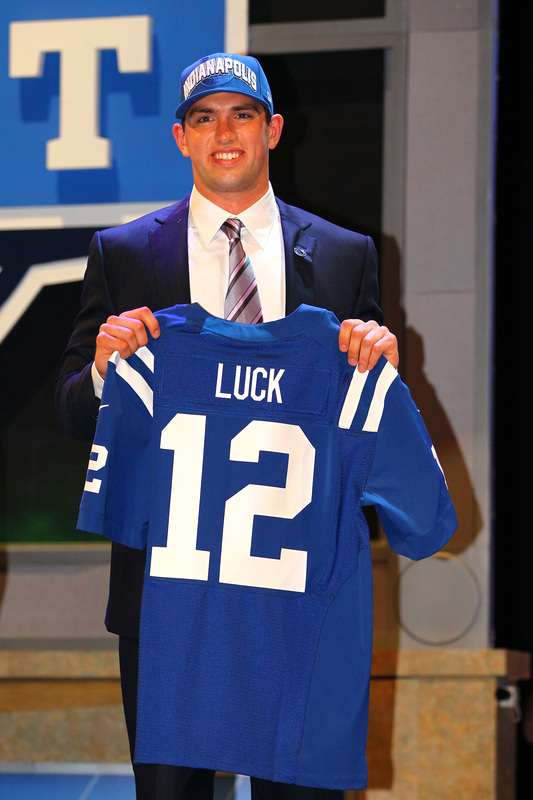 It looks like the Colts are in good hands with Luck. He’s got good weapons around him, and they should have a much better season than last year. It’s likely not a playoff season for the Colts, but they will be competitive. Indianapolis 38, St. Louis 3.